Latest job opportunities at Nigeria Customs Service (NCS). 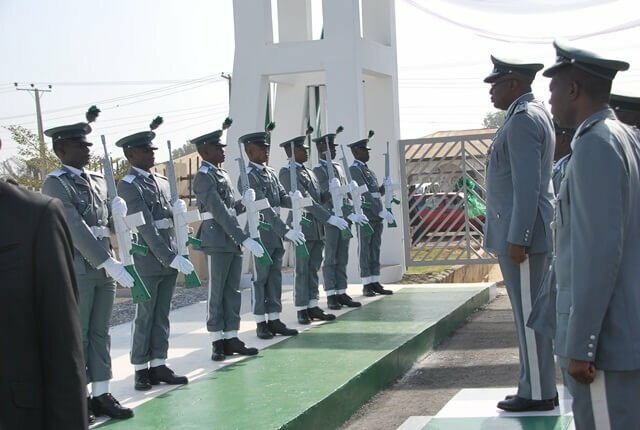 See the requirements and procedure to apply for Nigeria Customs Service (NCS) jobs online. Present a certificate of state of origin signed by the Chairman/Secretary of their Local Governments. Certificates endorsed by Liaison officers are unacceptable. How to Apply for Nigeria Customs Jobs. Applicants who possess a Bachelor’s Degree or a HND equivalent in any of the following field of study and NYSC Discharge or Exemption Certificate. If it is a scanned photo, crop the image to show only your head and shoulders before you upload it. Documents must not be more than 200kb and must be in PDF format. Should there be any incorrect information, you can return to the relevant section and update your data. You can logout and return at a later time to continue your application. About Nigeria Customs Service (NCS). Nigeria Customs Service (NCS) – At its coming into being in 1891, Nigeria Customs Service was saddled with the responsibilities of revenue collection, accounting for same and anti-smuggling activities. Today trade facilitation has become a fundamental role, progressively seen by government as an important element of economic policy, with Customs having a unique position within the hub of the international supply chain of goods and services.